Welcome to The Maker Station! The Maker Station Inc is home to a vibrant community of local makers in Cobb County and the greater Atlanta metro area. Here curious and like-minded folks come together to work on projects, discover new areas of interest, develop a new business idea, or simply grow their personal hobbies. The makerspace is a 100% volunteer driven 501c3 non-profit corporation. We are a valuable resource for Smyrna, Marietta, Kennesaw, Acworth, and surrounding metro areas. 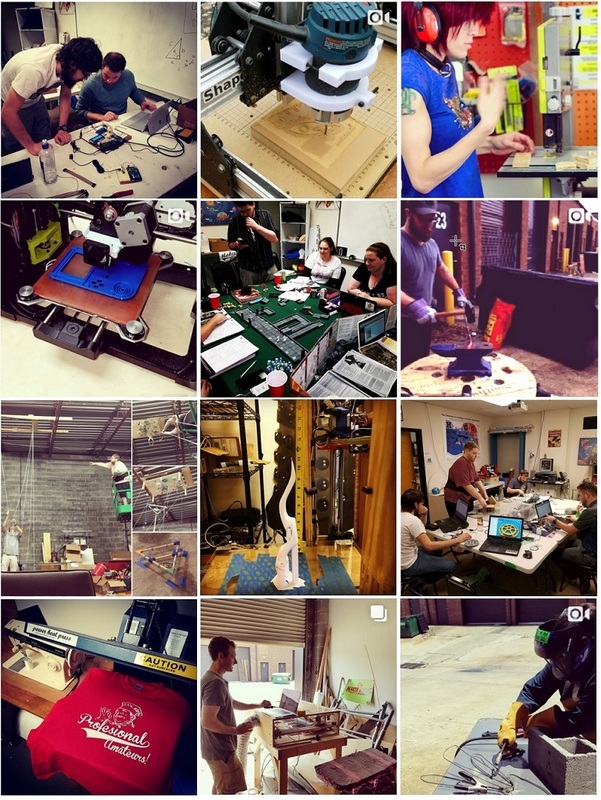 We started our journey in 2014 to build a makerspace close to home and welcome all interested community members to help grow and shape this makerspace / hackerspace into a thriving, collaborative environment. Joining is easy! Just follow these steps and you will be on your way in no time. Click through and complete your transaction to set up recurring billing. Join the Slack messenger group by sending an email to info@themakerstation.com and asking for Slack access. CLICK HERE FOR MORE DETAILS AND TO JOIN! We've moved into a bigger space! We are located in the Pickens Industrial Business Park off of Allgood Road in Marietta, a few minutes away from the Allgood Rd and Cobb Pkwy intersection. Parking: Plenty of parking right out front! Look for the Dalek on the window next to the door. The Maker Station is not open to the public but we do host Public Events. Open House events are once a month, but the day and time varies, please see our Meetup calendar. Other events are generally open to the public and guests at the discretion of the event organizer. See the http://www.meetup.com/Cobb-County-Makers-Meetup/events/calendar for all event details. Member Hours: 8am to 10pm daily, limited to dues-paying members. Extended hours are available upon consultation with the Board of Directors. Our official calendar of events is found on meetup.com. Please check regularly for new events! Members may schedule events on a first-come, first-serve basis. To schedule an event, please contact the Board of Directors. Subscribe to our Help us make a podcast! This page was last edited on 27 December 2018, at 00:04.